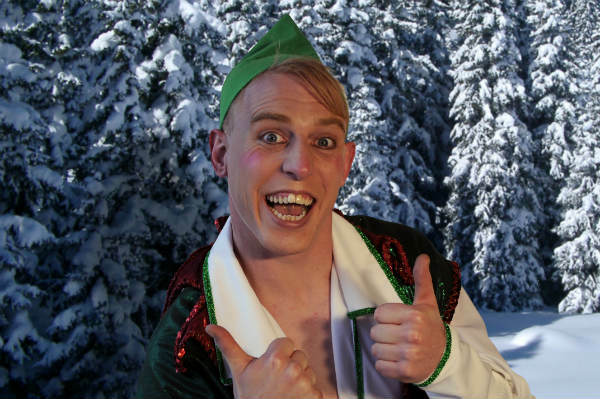 Elvis the energetic elf is a little hopeless but he absolutely loves all things Christmas! This year he has muddled up all of Santa’s presents and he is in total panic on Christmas eve of all days! 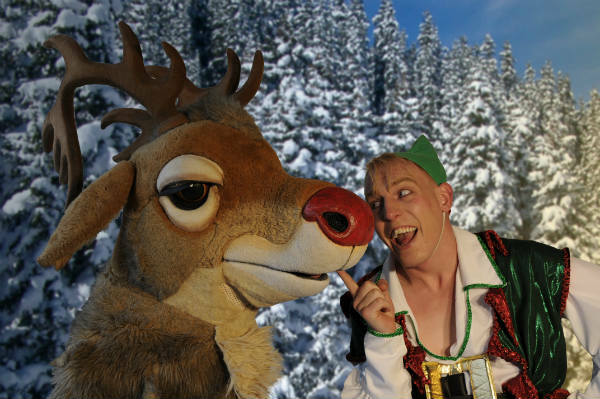 Luckily, Rudolf is here to help him sort it all out before Santa needs to set off on his sleigh. With some help from the audience he helps Elvis to remember what Christmas is all about, sort out the gifts and even helps him make it snow at Christmas! This Christmas Globe show is a show of songs and silliness and snow! Perfect for families at Christmas. Our ‘Giant 3m high Globe’ is an amazing performance space, perfect for your festive events! After our fantastic 20 minute show (which can be performed four times per day), families can step into the magical giant globe for photos. Our photo equipment allows instant pictures and we have a variety of products families can purchase, including photo snow globes, tree decorations, magnets and key rings. Prices for a photo start at just £3, perfect for Christmas gifts. 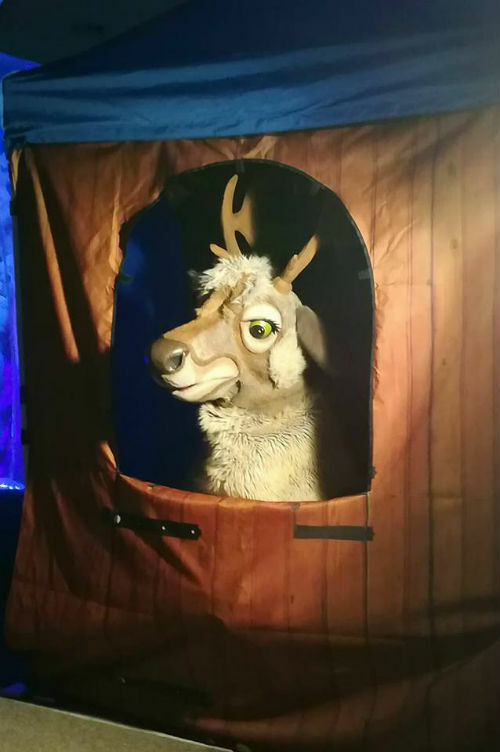 Curious Creations provided an excellent service at the Greater Grassmarket area of Edinburgh. The show was of extremely high quality and very entertaining. The concept was original and the crew were professional and excellent to work with.